97 percent of American cities are safer than Ft. Lauderdale. Therefore, it is vital that citizens of Ft. Lauderdale, Florida, protect their homes with home security systems. Last year, 92 crimes happened in each square mile of Ft. Lauderdale. Your chances of becoming a victim of a property crime in Ft. Lauderdale are 1 in 16. Other residents in the United States have a 1 in 28 chance of becoming a victim of a property crime. Last year alone there were 2,846 burglaries in Ft. Lauderdale. There were also 6,608 reports of thefts and 671 motor vehicles were stolen. Yet, many residents refuse to wake up and install home security systems. If you do not have one, then it is time to install one before it is too late. students. The other community is made up of executives. Residents that are this educated should realize that they need a home security system to protect their property. Yet, many residents do not have such a system. Make sure that your home is not left vulnerable to property crimes. The second safest neighborhood in Ft. Lauderdale is the Harbor Beach neighborhood. This neighborhood is also sometimes referred to as the Harbor Heights neighborhood. Rents in this neighborhood are in the top 10 percent for any property in the United States. Almost half of the apartments in this neighborhood remain unrented. For absentee landlords with empty apartments, it is important to have a security system in place. A great solution for these apartment owners is a motion detected system that can be monitored from any location. This area is well known for its residents who live over their businesses. This can pose unique home security system needs. It is important to work with a professional when having your system installed so that you meet these unique needs. This neighborhood is in the top 5 percent of neighborhoods in America for retirees. Retirees have worked hard all their lives to earn their living. Do not let a thieve take that away from you. Instead, work with a professional to install a home security system. This neighborhood is known for being able to walk to everything you need. Do not let thieves steal your sense of safety from you, while you are only a few minutes away from home. The third safest neighborhood in Ft. Lauderdale is the Lauderdale-By-The-Sea and the Sea Ranch neighborhoods. Median real estate values here are $388,085. Yet, many of these expensive homes remain unprotected or under protected. It is important to periodically reassess the homeowners security needs. Security needs change over time and so does the technology allowing for better solutions. If you have not looked at your system for a while, then it is time for the system to be reevaluated. The vacancy rate in this neighborhood is 42 percent. Often owners of these vacant properties do not take care of these properties. When this occurs, it is possible for undesirables to hide in these buildings. Make sure that your home is highly protected from these undesirables. More people in this neighborhood work at home than in almost any neighborhood in America. This poses special security needs. Many security companies do not recognize these special needs. Make sure you work with a company who understands these needs. 11 percent of children in this neighborhood live below the federal poverty line. Studies have shown that children who live under the poverty line are known to cause trouble more often than others. Therefore, it is especially vital that you protect your home with great security equipment. Make sure to protect both the inside and outside of your home. Those working away from home have a longer than average commute time. The more time you spend away from home, the more chance your property has to be vandalized. While a security system may not stop all the problems, it is an important step in making sure that you have the evidence you need to convict those who harm you. 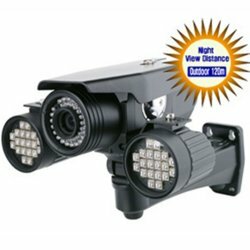 best security systems including closed caption television systems, infrared systems and other modern systems for the ultimate protection. Only 3.4 percent of neighborhoods in America are wealthier than the residents of this neighborhood. Do not let a thief steal that wealth from you. Homes in this neighborhood are often large with multiple outbuildings. Make sure that your system protects all the outbuildings on your property. The fifth safest neighborhood in Fort Lauderdale is the Weston neighborhood, bordering on the Everglades. This area includes the homes surrounding the Bonaventure Country Club and the Weston Hills Golf Club. The average home value here is $372,601. This neighborhood has been rated the top neighborhood in Florida for executives. Make sure that you protect your property while you are spending all those long hours at work. These executives are usually married. Make it a top priority on your busy schedule to protect your loved ones. It is an important gift that you can provide for your family. The primary language spoken in homes in Weston is English, although almost 30 percent of the Weston neighborhood home owners speak Spanish at home. Language can be a barrier in many circumstances so make sure to work with a security company who can provide instructions and a project coordinator who speaks your language. However, the images caught on a home surveillance system do not require language. Know what is happening at home when you are away at the office or on a trip. The sixth safest neighborhood in Fort Lauderdale is the area around Flamingo Road and Orange Drive. It is comprised of the homes surrounding Vista View Park and Flamingo Road County Park. This neighborhood has more mobile homes than 96% of the neighborhoods in America. These mobile homes are often placed in mobile home parks where neighbors live close together. These neighbors often come and go on a regular basis. In these circumstances, you must rely on yourself as you may not know your neighbor. Protect what is yours with a home surveillance system! Despite living in mobile homes, the neighborhood is among the top 85% of neighborhoods in America for wealth. This makes it even more important to protect what is yours. The wealthier you are, the more you have to lose. of the great reputation of Sawtooth Elementary School. If that is you, then further protect your family with a home surveillance system. The eighth safest neighborhood in Fort Lauderdale is the imperial point neighborhood, lying just to the west of Imperial Point Medical Center and including Boulevard Park Isles and Coral Ridge Isles. The residents of this neighborhood are generally in the upper half of Americans when it comes to income. Residents of the neighborhood speak a variety of languages including English, Spanish, Portuguese, French and Italian. Almost 16% of the residents of this neighborhood were born in another country. It is important to secure your home. You and your ancestors have worked very hard for what you have! Do not let anyone take it away from you!